I realized I never posted any pics from our honeymoon! 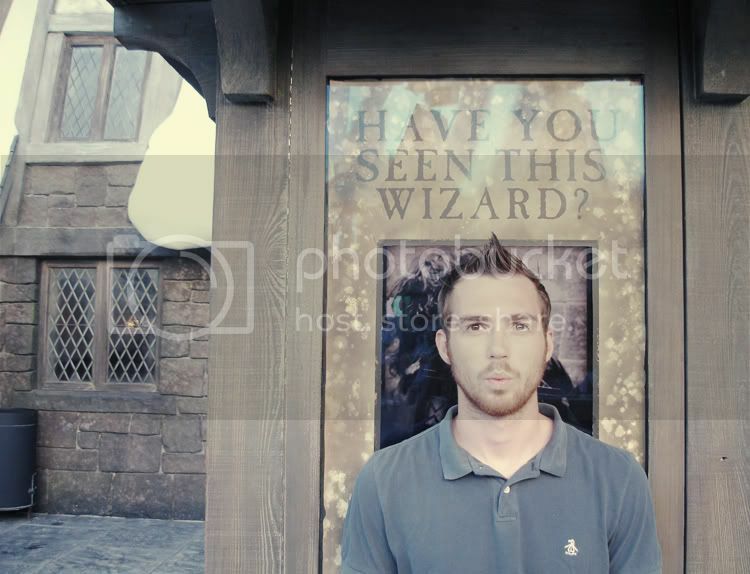 Not sure if you knew we went to the Harry Potter theme park in Florida. Well, it's not a whole theme park, it's a section within Universal Studios Orlando. But it was amazing!! and guess what? 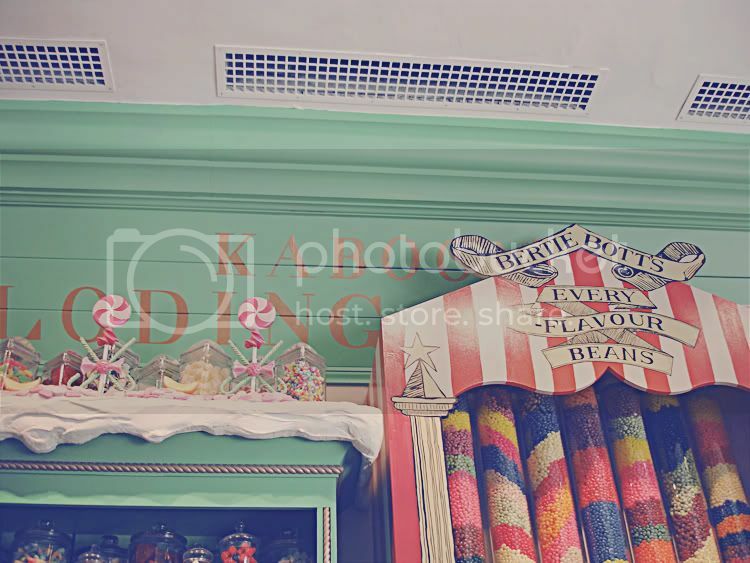 When we were walking through Hogwart's, they had different rooms and displays set up and I totally saw a few of the exact same props/decorations I had at my wedding! 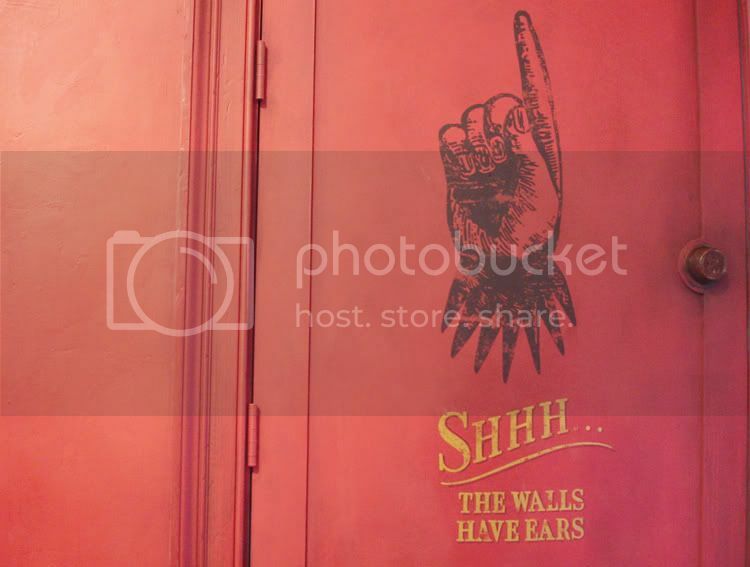 Remember I posted some inspiration boards and mentioned some sort of Harry Potter decor. That made me happy :) It would have been awesome to have been the set decorator for this theme park. They had a lot of vintage/antique market finds in the shop displays too, so fun! The pictures just don't do the park justice. You really have to go for yourself if you're a fan of Harry Potter. Aw, what fun! :) Thanks for sharing. I live about 10 minutes from Universal and I've been waiting for the crowds to die down before checking the HP deal out.. I ought to go soon! Those suitcases are lovely! How fun! ohhh you are so so lucky to have gone there! it sounds like you had an amazing time. i've wanted to go from the moment i heard it was opening. i hope i get to someday, it looks as wonderful as i imagined. Oh my goodness, I'm dying to go to Hogwarts!! My brother went to FL for business last week and cannot stop talking about how awesome it was. I am so jealous. Of Hogwarts AND the Bahamas. But mostly Hogwarts. 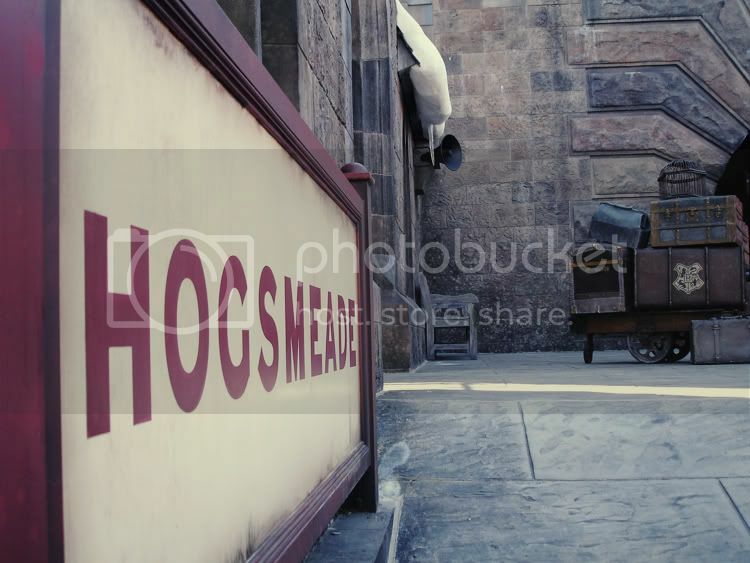 I love the Wizarding World of Harry Potter! I love your blog posts! They're always so fun to read! ^_^! 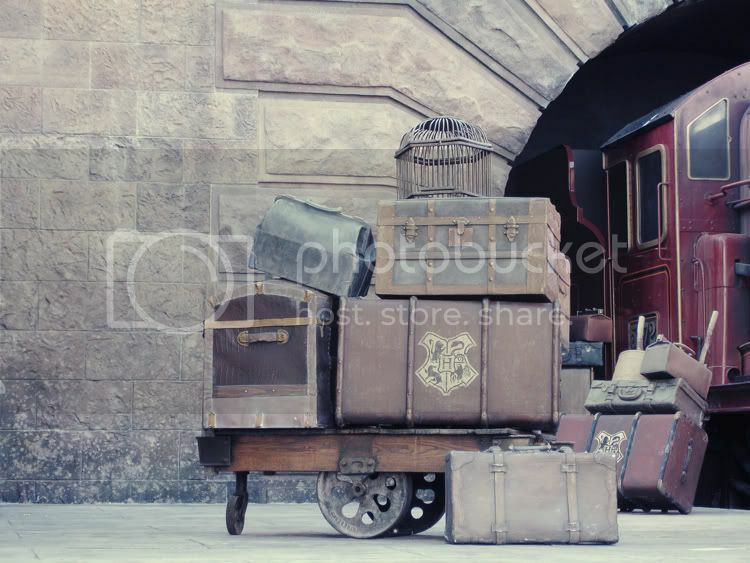 So jealous of your trip to the Harry Potter theme park!! It looks so awesome! Hogwarts was still being built the last time I was there and I never got to see what it looked like inside. What a great job done by Universal! Your pictures are fun and totally make me want to go back ASAP! The pictures are lovely and it's definitely one place I must must must visit! Congrats, I hope you had a lovely time! That looks so cool! I'm not much of a Harry Potter fan, but my boyfriend is and I would absolutely love to take him there. He would have a blast. Great photos! How fun! I can't wait to make my own trip over there. Great photos! Sooo cute! I went with my boyfriend in October and it was AMAZING! totally want to go here one day! Thats awesome. I can't wait to go someday. It might not be for a while though. danni! you guys are so cute!!!! i need to read those books! Wonderful photos! I'm so glad you had a great time. 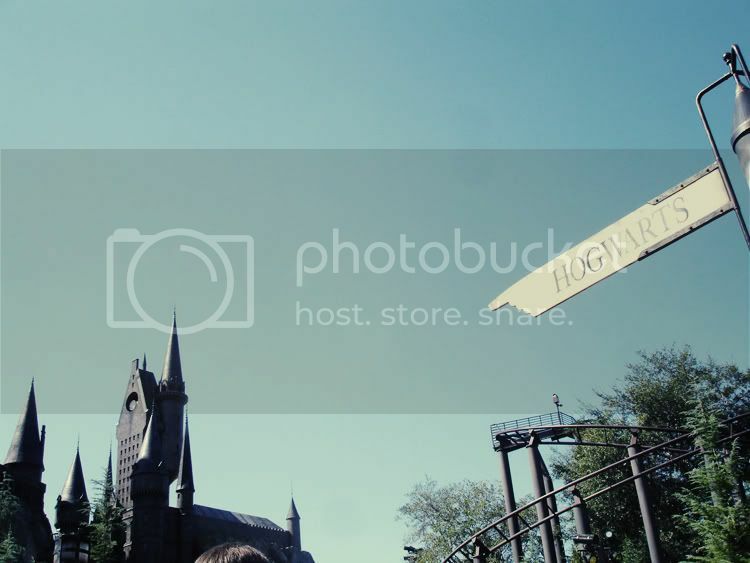 I would love to visit the HP park - it seems amazing! I want to go here so bad!! :) Sounds like you had a lot of fun!! I am so jealous. 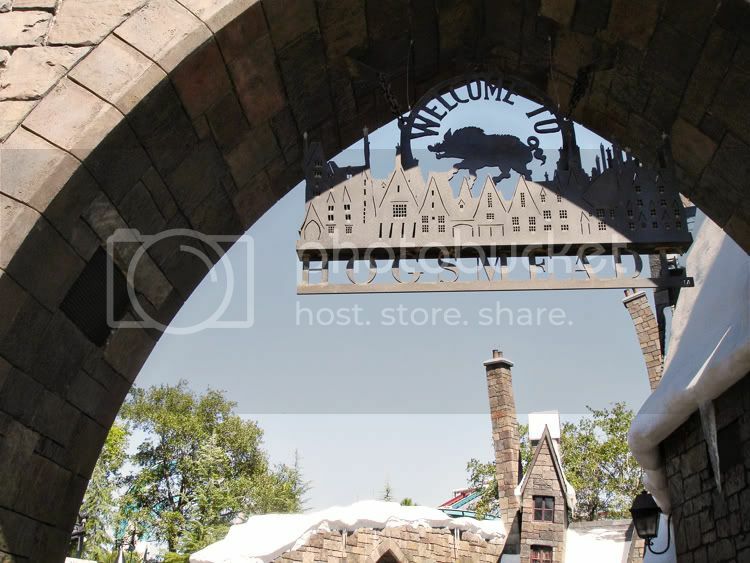 Harry Potter land is on my places to visit ASAP. My fiance and I are planning our honeymoon and were thinking about doing pretty much the same trip as you! we wanted to do a caribbean cruise but I've been working on convincing him we should stop at harry potter world first. This post was the perfect way to convince him! Harry Potter World here we come! Danni! You and your hubby are adorable!!! oh! I was just there in October, and it exceeded my expectations. It was absolutely amazing!!! I'm so glad to hear this. I've been wanting to go but haven't heard any feed back on it yet and didn't want to make the long trip from Arizona if it was cheesy or disappointing. I'm kind of excited! congratulations to you newlyweds! you make an adorable couple. your pics are fabulous, as always. I would buy ALL the candy. ALL of it. ooooh i've been itching to go since i heard this was being built! it looks amazing! That's such a good honeymoon idea! 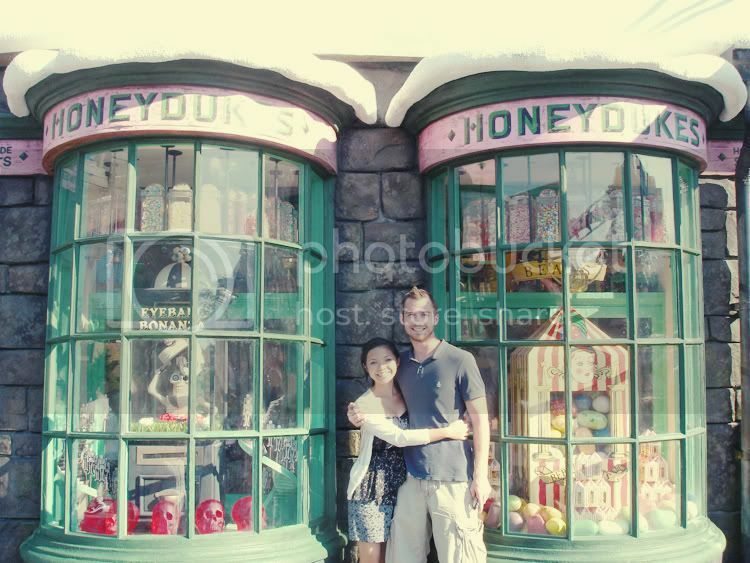 I really want to do something fun when I get married, and my boyfriend is a total HP nerd! Wow! I didn't know there was such a Hogwarts. I guess I am going to start believing! I didn't even know that a place like that existed! 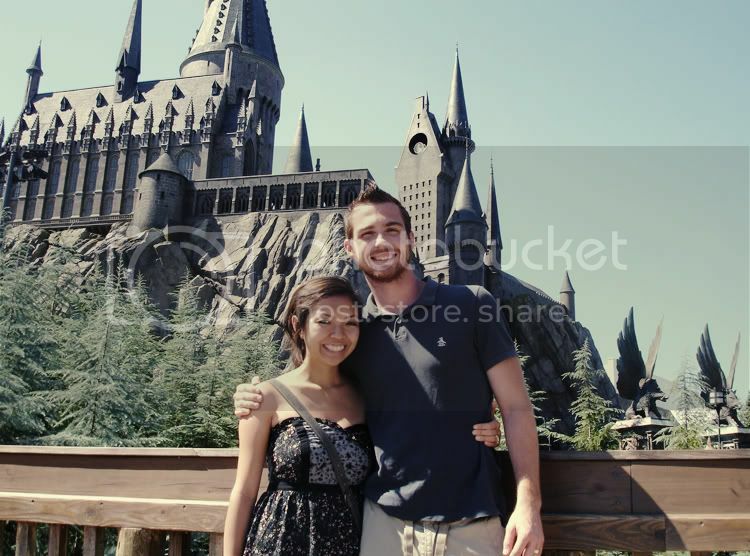 My fiance and I have been reading/watching all of the Harry Potters this whole week and I think it would be amazing to go to a place like that for our honeymoon. So cool! Oh, Danni, sounds amazing!!! I love it! 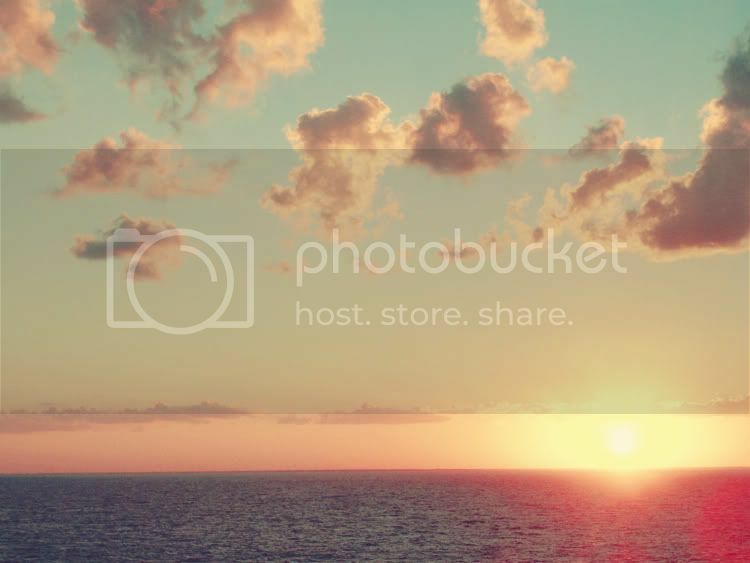 Everytime I see photos from that place, I want to go! I suppose it'd be best to wait 'til the kids are older and able to appreciate it too. What a fantastic place to go! I neeeed to get there some day. I'm going here in a couple weeks and I'm so glad you took photos because I haven't seen any good ones out on the internet! Now I know to expect true awesomeness! You guys are a pair of true dorks. Funny that you enjoyed the theme park more than the cruise. I'm glad you enjoyed yourselves. In which I'm the nerd, so no worries.